Don Konantz is a passionate prostate cancer survivor. He holds a Masters of Business Administration from the Ivey School at University of Western Ontario and has been engaged in thirty-two years of top management of dynamic, entrepreneurial companies. His experience includes all aspects of leading and operating a multi-million dollar company such as: strategic planning, marketing program design, corporate program development, human resources planning and people development, management info systems, administration and financial control. He is a director of the Lake of the Woods Water Sustainability Foundation (since 2007), President of the Dave Murray National Training Centre (since 2011). Don has also Chaired the Collingwood School Foundation (on the board since 2001); and has been Past Vice Chair of the Whistler Mountain Ski Club (on the Board since 2006). Dr Boniface was born and educated in NewZealand. Following received his B.Pharm degree from the University of Otago, Dunedin, he specialized in clinical radiopharmacy, and held a number of Clinical positions as a Radiopharmacist in Nuclear Medicine in hospitals in Dunedin and Christchurch, New Zealand. He was awarded an AHFMR scholarship from the University of Alberta, where he pursued graduate studies in the development of tumour-seeking proteins and monoclonal antibodies for diagnosis and therapy of cancer. After completing his Ph.D, Dr Boniface joined the Australian Nuclear Science and Technology Organisation (ANSTO) in Sydney Australia as a Research Scientist, where he was involved in a number of Industry-Academic research and development collaborations in Biotechnology, particularly in the fields of thrombolysis and oncology. He joined Biomira Inc Edmonton, Alberta in 1990 as Director of Clinical Development, where he was involved in the clinical development of in-vivo cancer diagnostics and therapeutic cancer vaccines. From 1998 to 2008 he worked for QLT Inc as Senior Director of Clinical Research. He was responsible for the global clinical development of their oncology, dermatology and immunology products, and overseeing trials which lead to the marketing approval of Photofrin® in a number of jurisdictions. Dr Boniface is currently the Chief Operating Officer of the Vancouver Prostate Centre, a world renowned translational cancer research centre, and National Centre of Excellence focused on developing new therapies for castrate resistant prostate cancer. The Center has over 140 staff and has numerous collaborative research programs with the global pharmaceutical/biotech industry, both at a pre-clinical and clinical stage, with over 20 active trials currently ongoing. 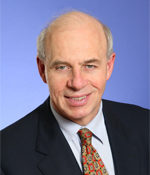 BRIAN CARR, LLB is of Counsel in Toronto with KPMG Law LLP, a law firm affiliated with KPMG LLP. He holds a B.Sc. (1970) and an LL.B. (1973) from the University of Toronto. Mr. Carr is a former Chair of the Canadian Tax Foundation, a Past-Chair of the National Taxation Law Section of the Canadian Bar Association and former Co-Chair and Member of the CBA/CICA Joint Committee on Taxation. He is a Past-Chair of the legislative subcommittee of the Taxation Section of the Ontario Bar Association. He is currently Co-Chair of the Canadian Bar Association programme “Tax Law For Lawyers”, an educational programme designed for tax lawyers in the first three years of practice. He is an editor of the Canadian Tax Journal. Mr. Carr has served as contributing editor to Ward’s Tax Law and Planning (1983-95) and as assistant editor of the Canadian Petroleum Tax Journal (1988-96). He is the author of “Taxation of Resource Industries” (Carswell, 1987), the co-author and a co-Editor-in-Chief (with C. Anne Calverley of Fraser Milner Casgrain in Calgary) of Canadian Resource Taxation” (a loose-leaf service first published by Carswell in 1996) and co-author with Ms. Calverley of Introduction to Resource Taxation in Canada (Carswell, 2014). Mr. Carr has written several articles published in the Canadian Tax Journal, the Corporate Management Tax Conference Reports, the Canadian Tax Foundation Conference Reports and the Canadian Petroleum Tax Journal. In 1996, he was co-winner of the Canadian Tax Foundation’s Douglas J. Sherbaniuk Distinguished Writing Award as co-author of “Today’s Butterfly,” published in the Foundation’s 1994 Conference Report. In 2012, he was awarded the Queen Elizabeth II Diamond Jubilee Medal for service to the Canadian Tax Foundation. Jonathan W. Simons, MD, is an internationally recognized physician-scientist, oncologist and acclaimed investigator in translational prostate cancer research. Prior to joining PCF in 2007, he was Distinguished Service Professor of Hematology and Oncology at the Emory University School of Medicine and Professor of Biomedical Engineering and Materials Sciences at the Georgia Institute of Technology. Dr. Simons is the Founding Director of the Winship Cancer Institute at Emory University in Atlanta and Co-Director of the National Cancer Institute Center for Cancer Nanotechnology Excellence at Emory and Georgia Tech. Dr. Simons received a BA from Princeton University and an MD from The Johns Hopkins University School of Medicine. Before entering medical school he was a Rotary International Postgraduate Fellow in the Humanities at the University of Kent in Canterbury, England, and a Nuffield Foundation Fellow in the Department of Biochemistry at the University of Cambridge. Dr. Simons completed his residency in internal medicine at Massachusetts General Hospital at Harvard Medical School and his fellowship in medical oncology at Johns Hopkins. Dr. Simons has been a funded physician-scientist in prostate cancer by the National Cancer Institute, Department of Defense, PCF and other agencies since 1990. He is also board-certified in internal medicine and medical oncology. He is married to Plum Simons, a breast cancer survivor, and has two sons.